That doesn't mean the "plug-and-play" phone will actually get made, though. 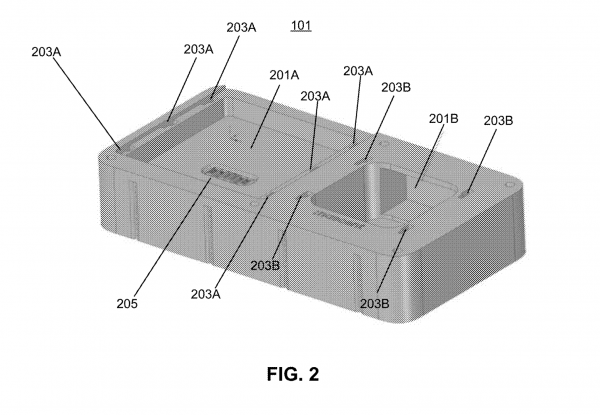 On Thursday July 20, Facebook published its patent application for a “modular electromechanical device” that includes a phone, GPS, microphone, speaker, and touch display. This kind of modular consumer hardware would allow users to combine several different components together on a single device — a kind of plug-and-play smartphone. This sort of modular design is also of interest to Google, who has already made one unsuccessful attempt to bring its Project Ara smartphone to market. Some members of the Project Ara team are now at Facebook’s Building 8 — including Regina Dugan, the leader of the research lab. Building 8 is Facebook’s lab for consumer technologies and the epicenter of its futuristic projects. Several Building 8 employees were named on the patent application. The four employees had previously worked for Nascent Objects, a startup that prototyped modular gadgets using 3D printing. Facebook acquired Nascent Objects last year, and a spokesperson confirmed to Tech Insider that the technologies in the patent application were part of that acquisition. According to the patent application, the device could work as a phone, or it could work more like Amazon’s Alexa does in terms of its music speaker function. The application also notes that the components of millions of connected devices could be loaded with various kinds of software as pieces are swapped out. It remains to be seen whether Facebook will succeed where Google failed; just because a patient application is filed, there’s no guarantee that a device will actually get made.